CLAI, a Latin American leader in switch transaction, credit/debit card management and ATM driving software solutions has chosen to modernize their Autoriza7® family of products using aXes. 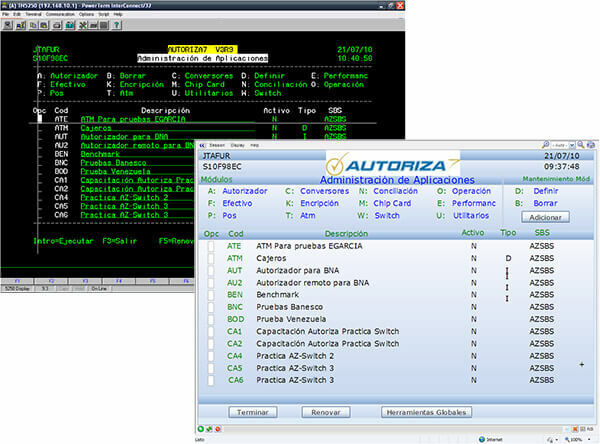 Autoriza7 Switch Plus is a transaction switch solution that runs on the IBM i server platform. It includes channel management functions for ATMs, kiosks, Point of Sale and online transactions. It has been successfully installed in more than 30 financial institutions in 14 countries. Fernando Carmona, CLAI’s R&D manager, said, "We found aXes an easy to use tool full of functionality, that is fast for web browser interface modernization. The ease of use and productivity of aXes allows CLAI to modernize Autoriza7® quickly, so we can continue to dedicate our valuable product management and application development resources on improving the core software business functionality." CLAI understands the importance of maintaining a process of permanent R&D that allows its business partners access to the latest guidelines issued by the international processors like VISA®, MasterCard®, etc and of the hardware manufacturers like Diebold®, NCR®, Hypercom®, as well as access to new services that the market requires. 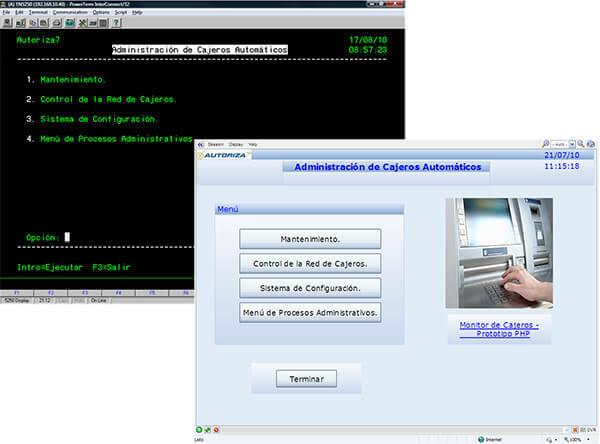 aXes transforms RPG and COBOL 5250 programs into Rich Internet Applications accessible via multiple web browsers on multiple devices (including mobiles) – without having to change a single line of source code. 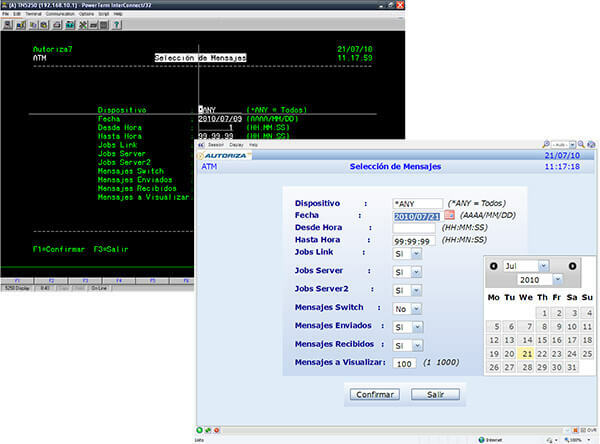 Using aXes eXtensions, the user interface can be significantly enriched and business value can be added to 5250 applications with a host of Windows user interface constructs – including dropdowns, checkboxes, radio buttons, calendars, charts, hyperlinks, images and a full color palette – all done independently of the underlying 5250 programs. The decision to use aXes was supported by LANSA Partner Greenlight Technology and the modernization project has been carried out with their support. Fernando Carmona, CLAI’s R&D manager, said, " We found aXes an easy to use tool full of functionality, that is fast for web browser interface modernization. The ease of use and productivity of aXes allows CLAI to modernize Autoriza7® quickly, so we can continue to dedicate our valuable product management and application development resources on improving the core software business functionality." Cormona is not just pleased with the aXes product, but also with the level of support, "We received excellent support from Greenlight Technology and LANSA," he concluded. CLAI (Compañía Latinoamericana de Aplicaciones Informáticas), based in Bogotá, Colombia, is the Latin American leader in switch transaction, credit/debit card management and ATM driving software solutions. CLAI's switch PLUS autoriza7 solution consists of a portfolio of 15 integrated products. Green Light Technology (GLT) offers solutions and information services for Security, Auditing, Encryption, Business Continuity, Modernization and Process Automation. GLT is a leader in software distribution for the Latin American market, especially in the IBM platforms (iSeries and xSeries).